Mercury is a chemical element with the symbol Hg and atomic number㻐. It is commonly known as quicksilver and was formerly named hydrargyrum (from Greek "hydr-" water and "argyros" silver). A heavy, silvery d-block element, mercury is the only metal that is liquid at standard conditions for temperature and pressure the only other element that is liquid under these conditions is bromine, though metals such as caesium, gallium, and rubidium melt just above room temperature. With a freezing point of −38.83 °C andboiling point of 356.73 °C, mercury has one of the narrowest ranges of its liquid state of any metal. Mercury occurs in deposits throughout the world mostly as cinnabar (mercuric sulfide). The red pigment vermilion, a pure form of mercuric sulfide, is mostly obtained by reaction of mercury (produced by reduction from cinnabar) with sulfur. Cinnabar is highly toxic by ingestion or inhalation of the dust. Mercury poisoning can also result from exposure to water-soluble forms of mercury (such asmercuric chloride or methylmercury), inhalation of mercury vapor, or eating seafood contaminated with mercury. Mercury is used in thermometers, barometers, manometers, sphygmomanometers, float valves, mercury switches, and other devices though concerns about the elements toxicity have led to mercury thermometers and sphygmomanometers being largely phased out in clinical environments in favor of alcohol-filled, galinstan-filled, digital, or thermistor-based instruments. 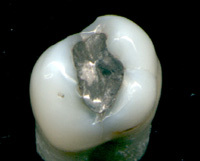 It remains in use in scientific research applications and in amalgam material for dental restoration. 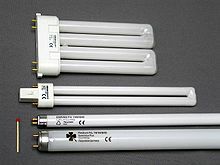 It is used in lighting: electricity passed through mercury vapor in a fluorescent lamp produces short-wave ultraviolet light which then causes the phosphor in the tube to fluoresce, making visible light. Mercury is used primarily for the manufacture of industrial chemicals or for electrical and electronic applications. It is used in some thermometers, especially ones which are used to measure high temperatures. A still increasing amount is used as gaseous mercury influorescent lamps, while most of the other applications are slowly phased out due to health and safety regulations and is in some applications replaced with less toxic but considerably more expensive Galinstan alloy. Mercury and its compounds have been used in medicine, although they are much less common today than they once were, now that the toxic effects of mercury and its compounds are more widely understood. The element mercury is an ingredient in dental amalgams.Thiomersal (called Thimerosal in the United States) is an organic compound used as a preservative in vaccines, though this use is in decline. Another mercury compound Merbromin (Mercurochrome) is a topical antiseptic used for minor cuts and scrapes is still in use in some countries. Mercury in the form of one of its common ores, cinnabar, is used in various traditional medicines, especially in traditional Chinese medicine. Review of its safety has found cinnabar can lead to significant mercury intoxication when heated, consumed in overdose or taken long term, and can have adverse effects at therapeutic doses, though this is typically reversible at therapeutic doses. Although this form of mercury appears less toxic than others, its use in traditional Chinese medicine has not yet been justified as the therapeutic basis for the use of cinnabar is not clear. Today, the use of mercury in medicine has greatly declined in all respects, especially in developed countries. Thermometers andsphygmomanometers containing mercury were invented in the early 18th and late 19th centuries, respectively. In the early 21st century, their use is declining and has been banned in some countries, states and medical institutions. In 2002, the U.S. Senate passed legislation to phase out the sale of non-preion mercury thermometers. In 2003, Washington and Maine became the first states to ban mercury blood pressure devices. Mercury compounds are found in some over-the-counter drugs, including topical antiseptics, stimulant laxatives, diaper-rash ointment, eye s, and nasal sprays. The FDA has "inadequate data to establish general recognition of the safety and effectiveness", of the mercury ingredients in these products. Mercury is still used in some diuretics, although substitutes now exist for most therapeutic uses. Chlorine is produced from sodium chloride (common salt, NaCl) using electrolysis to separate the metallic sodium from the chlorine gas. Usually the salt is dissolved in water to produce a brine. By-products of any such chloralkali process are hydrogen (H2) and sodium hydroxide (NaOH), which is commonly called caustic soda or lye. By far the largest use of mercury in the late 20th century was in the mercury cell process (also called the Castner-Kellner process) where metallic sodium is formed as an amalgam at a cathode made from mercury this sodium is then reacted with water to produce sodium hydroxide. Many of the industrial mercury releases of the 20th century came from this process, although modern plants claimed to be safe in this regard. After about 1985, all new chloralkali production facilities that were built in the United States used either membrane cell or diaphragm cell technologies to produce chlorine. Some medical thermometers, especially those for high temperatures, are filled with mercury however, they are gradually disappearing. In the United States, non-preion sale of mercury fever thermometers has been banned since 2003. Liquid mercury is a part of popular secondary reference electrode (called the calomel electrode) in electrochemistry as an alternative to thestandard hydrogen electrode. The calomel electrode is used to work out the electrode potential of half cells. Last, but not least, the triple point of mercury, −38.8344 °C, is a fixed point used as a temperature standard for the International Temperature Scale (ITS-90). Gaseous mercury is used in mercury-vapor lamps and some "neon sign" type advertising signs and fluorescent lamps. Those low-pressure lamps emit very spectrally narrow lines, which are traditionally used in optical spectroscopy for calibration of spectral position. Commercial calibration lamps are sold for this purpose however simply reflecting some of the fluorescent-lamp ceiling light into a spectrometer is a common calibration practice. Gaseous mercury is also found in some electron tubes, including ignitrons,thyratrons, and mercury arc rectifiers. It is also used in specialist medical care lamps for skin tanning and disinfection (see pictures). Gaseous mercury is added to cold cathode argon-filled lamps to increase the ionization and electrical conductivity. An argon filled lamp without mercury will have dull spots and will fail to light correctly. Lighting containing mercury can be bombarded/oven pumped only once. When added to neon filled tubes the light produced will be inconsistent red/blue spots until the initial burning-in process is completed eventually it will light a consistent dull off-blue color. Quantities of liquid mercury ranging from 90 to 600 grams (3.2 to 21 oz) have been recovered from elite Maya tombs or ritual caches at six sites. This mercury may have been used in bowls as mirrors for divinatory purposes. Five of these date to the Classic Period of Maya civilization (c. 250–900) but one example predated this. Similarly, liquid mercury was used as a coolant for some nuclear reactors however, sodium is proposed for reactors cooled with liquid metal, because the high density of mercury requires much more energy to circulate as coolant. Mercury was a propellant for early ion engines in electric space propulsion systems. Advantages were mercurys high molecular weight, low ionization energy, low dual-ionization energy, high liquid density and liquid storability at room temperature. Disadvantages were concerns regarding environmental impact associated with ground testing and concerns about eventual cooling and condensation of some of the propellant on the spacecraft in long-duration operations. The first spaceflight to use electric propulsion was a mercury-fueled ion thruster developed by NASA Lewis and flown on the Space Electric Rocket Test "SERT-1" spacecraft launched by NASAat its Wallops Flight Facility in 1964. The SERT-1 flight was followed up by the SERT-2 flight in 1970. Mercury and caesium were preferred propellants for ion engines until Hughes Research Laboratory performed studies finding xenon gas to be a suitable replacement. Xenon is now the preferred propellant for ion engines as it has a high molecular weight, little or no reactivity due to itsnoble gas nature, and has a high liquid density under mild cryogenic storage. The mercury battery is a non-rechargeable electrochemical battery, a primary cell, that was common throughout the middle of the 20th century. It was used in a wide variety of applications and was available in various sizes, particularly button sizes. Its constant voltage output and long shelf life gave it a niche use for camera light meters and hearing aids. The mercury cell was effectively banned in most countries in the 1990s due to concerns about the mercury contaminating landfills. It was allegedly used by allied spies to sabotage Luftwaffe planes: a mercury paste was applied to bare aluminium, causing the metal to rapidly corrode this would cause structural failures. 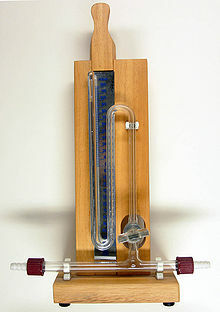 Chloralkali process: The largest industrial use of mercury during the 20th century was in electrolysis for separating chlorine and sodium from brine mercury being the anode of the Castner-Kellner process. The chlorine was used for bleaching paper (hence the location of many of these plants near paper mills) while the sodium was used to make sodium hydroxide for soaps and other cleaning products. This usage has largely been discontinued, replaced with other technologies that utilize membrane cells. From the mid-18th to the mid-19th centuries, a process called "carroting" was used in the making of felt hats. Animal skins were rinsed in an orange solution (the term "carroting" arose from this color) of the mercury compound mercuric nitrate, Hg(NO3)2·2H2O. This process separated the fur from the pelt and matted it together. This solution and the vapors it produced were highly toxic. The United States Public Health Service banned the use of mercury in the felt industry in December 1941. The psychological symptoms associated with mercury poisoning inspired the phrase "mad as a hatter". Lewis Carrolls "Mad Hatter" in his book Alices Adventures in Wonderlandwas a play on words based on the older phrase, but the character himself does not exhibit symptoms of mercury poisoning. Gold and silver mining. Historically, mercury was used extensively in hydraulic gold mining in order to help the gold to sink through the flowing water-gravel mixture. Thin mercury particles may form mercury-gold amalgam and therefore increase the gold recovery rates. Large-scale use of mercury stopped in the 1960s. However, mercury is still used in small scale, often clandestine, gold prospecting. It is estimated that 45,000 metric tons of mercury used in California for placer mining have not been recovered. Mercury was also used in silver mining.